Personalized Golf Travel Shoe Bags in Bulk. Cheap, Promotional, Custom. Custom Travel Golf Shoe Bags Personalized in Bulk. Inexpensive, Promotional. Best price in USA, Canada. Bulk golf travel shoe bags, personalized with your logo with free artwork design. Amazing Prices for USA and Canada Clients for wholesale custom imprinted golf shoe bags. 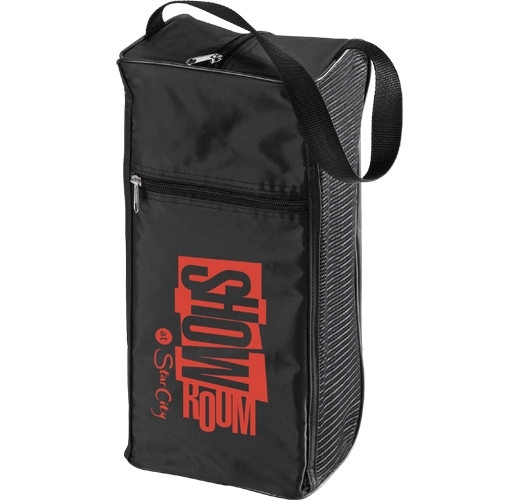 Shoe Bag is made with durable 70 Denier Nylon to protect your shoes or tuck it neatly into your luggage! It makes a great amenity bag! Imprint Area: 4 1/2" W x 6" H; 4 1/2"x6"
Light Green, Dark Green, Light Blue, Royal Blue, Dark Blue, Orange, Red, Burgundy Red, Teal Green, Purple, Gold, Black, White, Silver, Bronze, Light Gray, Brown, Pink & Yellow. PMS Color Match: Add $35 per Box imprint cannot be PMS color match.